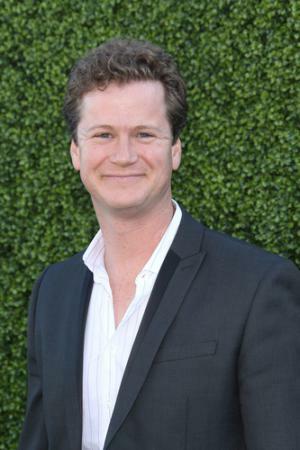 Jonathan Mangum is an actor/comedian born on 16th January 1971, in Charleston, South Carolina, USA. He is best known for being a cast member of “The Wayne Brady Show” and as the announcer for the “Let’s Make a Deal” TV game show. Have you ever wondered how rich Jonathan Mangum is? According to sources it has been estimated that Mangum’s overall net worth is $500,000, acquired largely during a long acting career, which started back in 1993. Since he is still an active member of the entertainment industry, his net worth continues to grow. Although born in Charleston, South Carolina, Jonathan spent most of his childhood in Mobile, Alabama. He later moved to Orlando, where he attended the University of Central Florida and graduated with a degree in Psychology. There, his first acting roles were with SAK Theatre’s Theatre Sports, a local improvisation show which gained big success. He appeared in shows such as “Clarissa Explains it All”, “Welcome Freshman”, “Fortune Hunter” and many others. Concurrently performing in 13 shows a week while attending college, Mangum began working with a group of improvisers which included Wayne Brady. In 1995, he moved to Los Angeles to pursue a professional career in comedy and soon joined The Honkeys, performing their critically acclaimed improv game show “The Houseful of Honkeys” at the ACME Theatre for nearly five years, which later led to the group shooting several television pilots for ABC television. During this time, Jonathan also appeared on television in various series such as “Married…with Children”, “Just Shoot Me”, and “E.R.”, but his other notable appearances included those in “Reno 911!”, “Pushing Daisies”, “The Sarah Silverman Program”, “Clueless”, “Goode Behaviour” and “NCIS”. These all added to Mangum’s net worth. He was a series regular on Comedy Central’s “Stripmall”, ABC’s “The Drew Carey Show”, “The Wayne Brady Show” and “Trust Us with Your Life”, and Drew Carey’s “Greenscreen Show” and “Iprov-a-ganza”. Thanks to his collaboration with Rob Reiner, Mangum also appeared in Jack Nicholson’s “The Bucket List” and soon after in Eddie Murphy’s “Imagine That”. Also, since the beginning of his career, Jonathan has made over 4200 live appearances in theatres. He was always in demand, which added steadily to his net worth. Apart from his acting talent, Jonathan is also successful in writing, and has written for “The Wayne Brady Show” and the award winning “Brandon T. Jackson Show”. He also co-wrote and starred in VH1’s “Home Purchasing Club” and a short award winning film “Conversations”. Mangum still actively develops ideas for television and film. In 2012, he starred in “Trust Us With Your Life”, an improv comedy series on the ABC channel. When it comes to his more recent activity, Jonathan wrote an animated pilot for the Walt Disney Company, called “The Lumberjacksons”, and is currently hosting two shows: “Let’s Make a Deal” on CBS and “Whose Line is it Anyway?” on ABC. Talking of his private life, Jonathan has been married Leah Stanko, a casting director, since 2001, and the couple has two sons. In his free time, he likes to play paintball and listen to rap. 1 Graduated from Mcgill-Toolen Catholic High school in Mobile, Alabama.